Sometimes you just have to shake things up a bit. I decided to start carrying a few sewing notions and patterns in my Etsy shop. Needles, patterns and a few other notions. I love these Self Threading needles by Clover. Most quilters do too. In previous years I added beading to my quilts and used these beading needles. I love them. They are long and slender and I can use them with the tiniest of beads. Today I'm adding Sew Straight by Quilt in a Day - Eleanor Burns. This tool is wonderful for when we are having problems keeping your 1/4" seam and I use it when sewing bias strips together and angled blocks. I have been able to sew half square triangles without marking the fabric using this tool. 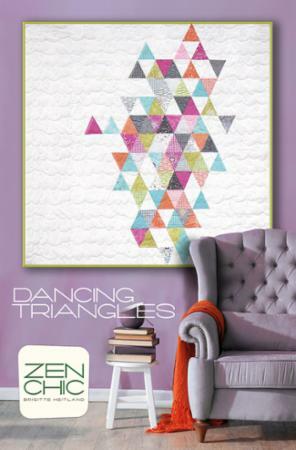 All my quilting students have bought this product and have commented on how much it has helped them. I'm also adding some patterns by Zen Chic, by Moda and a few others. These modern quilt patterns are so attractive and are fun to make. 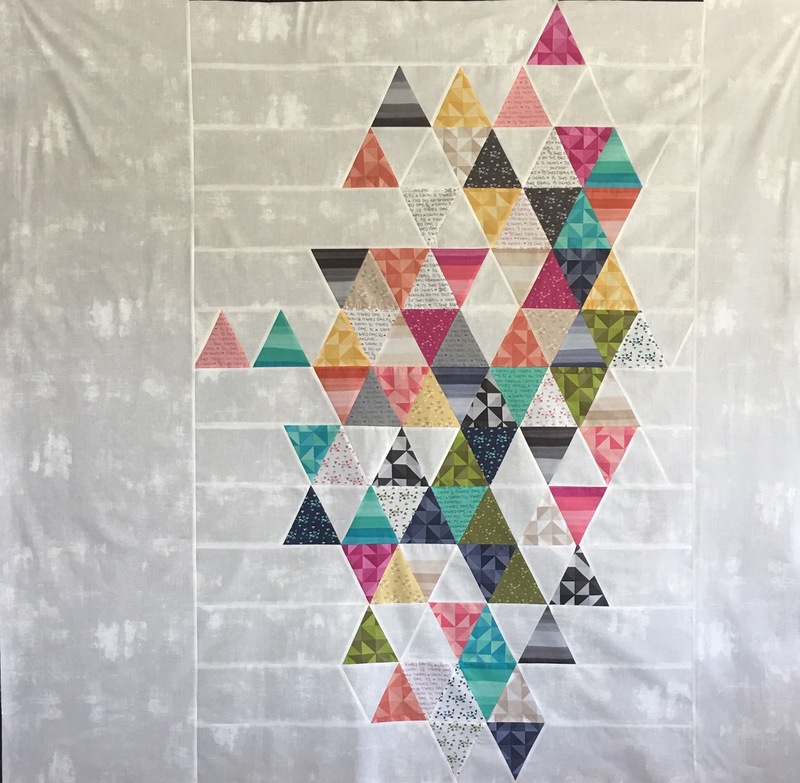 I have made the Dancing Triangles and the Throwing quilt, both using Moda fabrics. 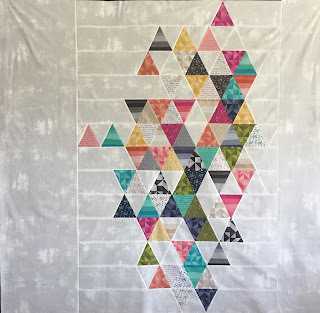 I made the Dancing Triangles quilt with Moda Spectrum Charm packs and Moda Paper White Grunge. 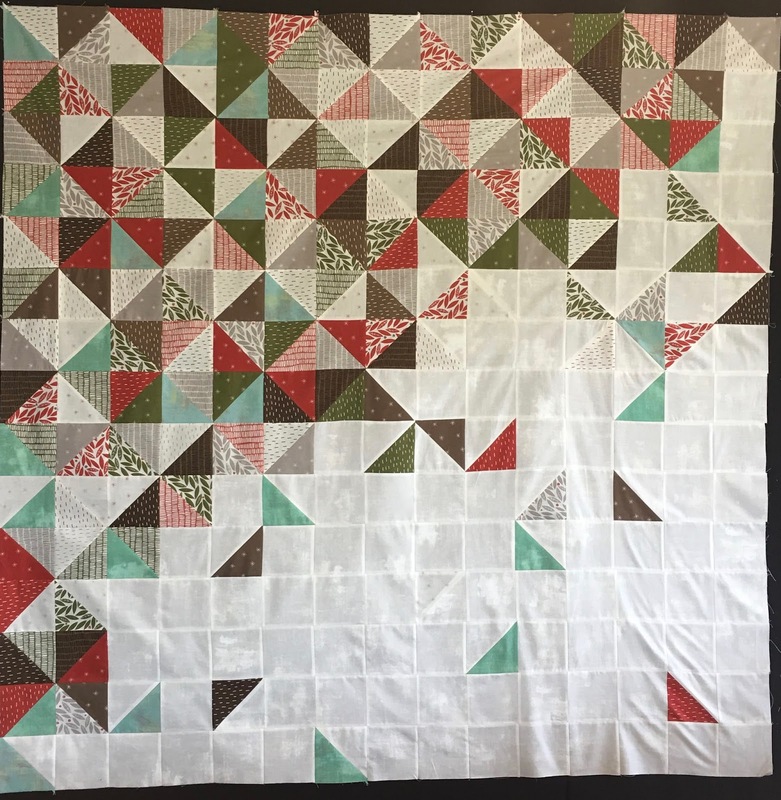 I'm teaching the Throwing quilt pattern this month and can't wait for my students to get started on it. I used the Merrily charm packs, by Moda, along with a selection of Grunge fabrics, by Moda. Enjoy the Fall weather my quilting friends. The weather in North Texas keeps teasing us, some day it may get cool and stay cool. Perfect quilting weather and perfect weather to cuddle up with a quilt.